Well, well... After posting a pic of the most aesthetically pleasing face mask packaging on Instagram, it seemed like everyone wanted to know what they're like. Considering H&M have been killing it with their new and improved beauty range, I really haven't seen all that much about it from bloggers and vloggers. I thought I'd put these two to the test and see if they're actually any good... Taking one for the team and all that, you're welcome. First things first (I'm the realist, lol no), can we please discuss how cute this packaging is? I'm a sucker for anything minimalistic and these are definitely no exception. 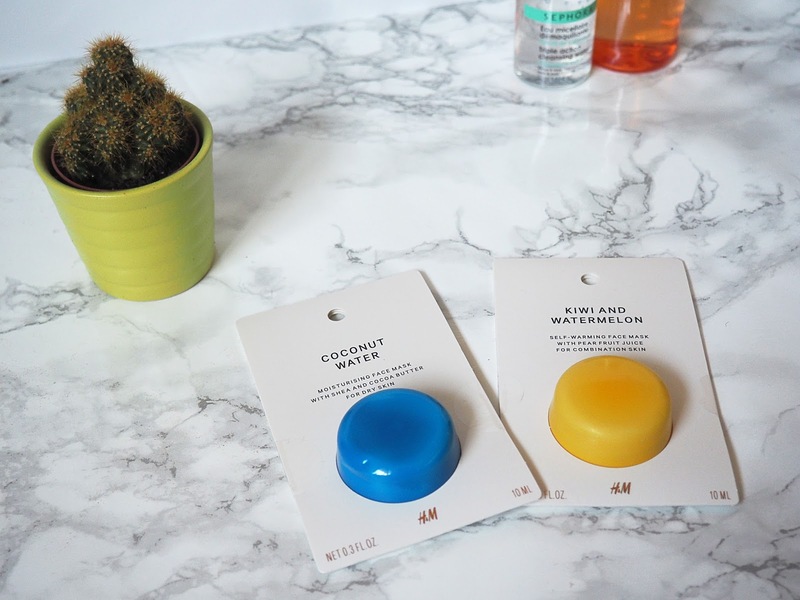 I adore the fact that each face mask is contained in a bright coloured pod, plus they're a suitable size for those who like to have a pamper whilst away on holiday or a trip. Coconut Water Since getting back from holiday, my skin has been hella dry. It's not cute, at all. The Coconut Water facemask claims to be moisturising and aimed at those suffering with dry skin... AKA me. It contains shea and cocoa butter and it definitely does what it says on the tin (well, packaging). 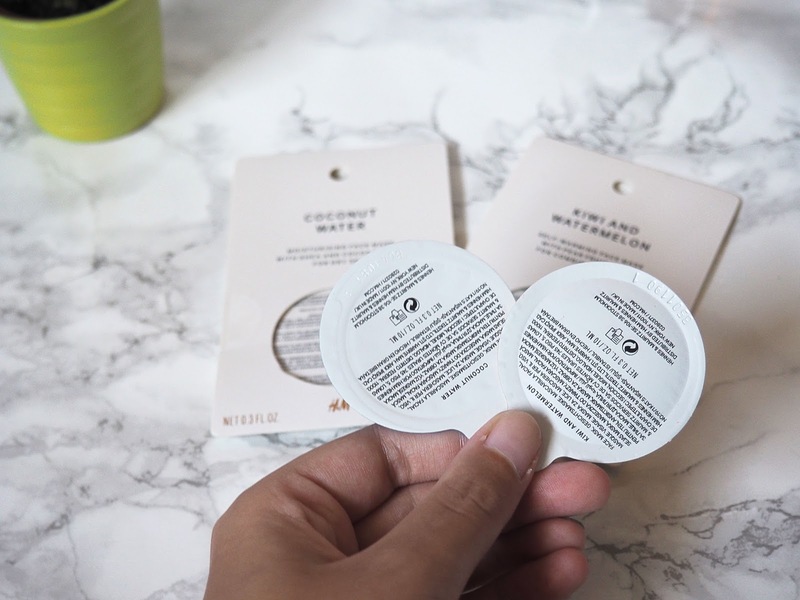 Not only does this mask smell delicious, it's super hydrating too - but one thing that did take me by surprise was the consistency. I'm used to face masks that have a gel like consistency, you know the ones you buy in Boots for 99p in the funky little packets, but this was completely different. Instead of a gel, it was more of a cream... I essentially felt like I was putting a ridiculously thick moisturiser on my face. Nevertheless, it works and the next day, my dry patches were minimised. Kiwi and Watermelon Now this mask, I had no idea what to expect from it to be honest. The Kiwi and Watermelon mask is described as a self-warming face mask that contains pear fruit juice, sounds tasty. It's also aimed at those with combination skin. If you love your fruity smells, this one is definitely for you. Once you get past the obnoxiously bright green colour of this mask, it's actually really good. It's quite a thin and runny consistency and did end up running into my mouth a few times (FYI, it doesn't taste as good as it smells), but on the whole I would most likely repurchase again. Similar to the Coconut Water mask, it left my skin feeling squeaky clean and super soft. What more could you ask for? These masks retail at £1.99 each and come in so many different scents? Flavours? Types? Whatever the politically correct word is, I can't wait to go back and purchase more! Have you tried anything from the H&M Beauty range? Are these tested on animals? Or "cruelty free" as the term seems to be nowadays. You're absolutely right, I haven't seen many H&M reviews for their beauty products... Those masks look interesting, I'm so gonna try a couple of them. Ooh these look awesome and I love that they're single use, I think I'll be grabbing a few of these to try next time I'm there. I'm such a sucker for cute packaging and these are adorable! I am very impressed with these masks and the price is great too! 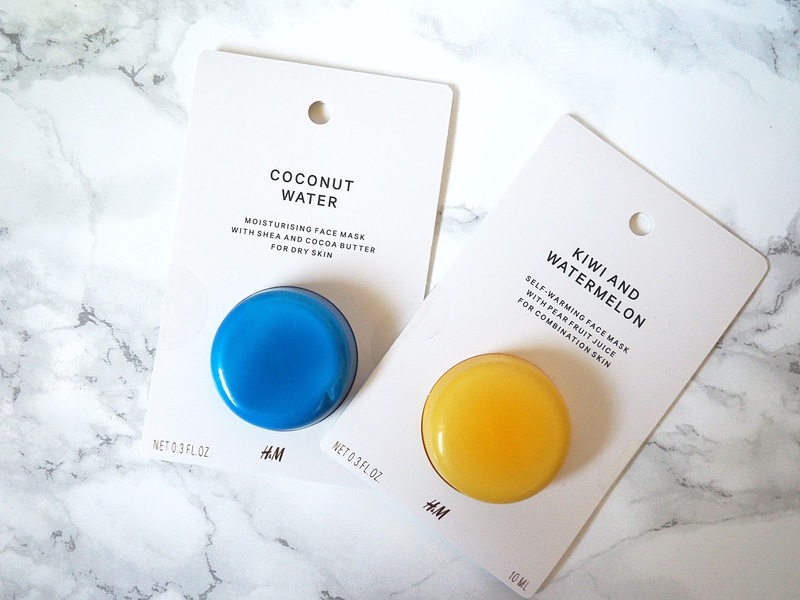 Gosh that coconut water one looks so dreamy! Not gonna lie, that packaging would draw me in too haha. They look so good. Sound amazing too! Such a lovely blog post. Yay for being cruelty free!